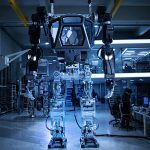 Virtual reality (VR) offers humans the possibility to explore and manipulate artificial and remote environments. In recent years, there has been a growing interest in developing wearable haptic interfaces to provide users with the maximum level of immersion. Wearable haptic devices (e.g. customized gloves, shoes, clickers, etc) offer an extra dimension to a VR environment by providing physical sensations to user’s hand or other parts of body. Adding a sense of touch or tactile feedback to VR can significantly enhance the realities and bring the users deeper into the VR world. 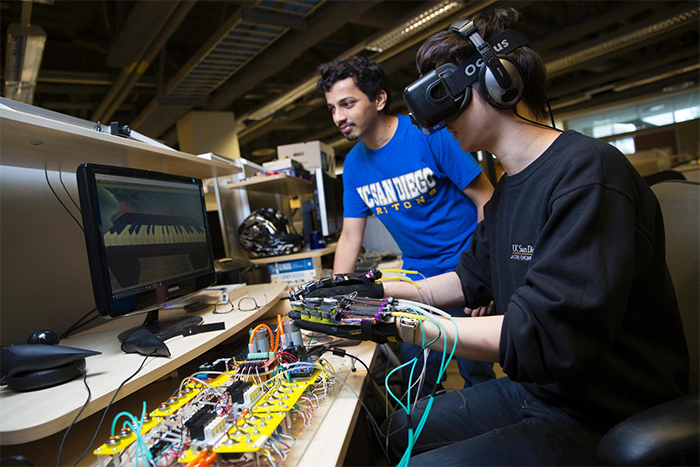 Taking advantage of soft robotics technology, a group of researchers at UC San Diego have developed a light, flexible VR gloves that provides users with tactile feedback when they interact with virtual reality environments. 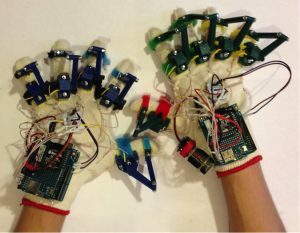 Using the gloves researchers were able to simulate the tactile feeling of playing a virtual piano keyboard. 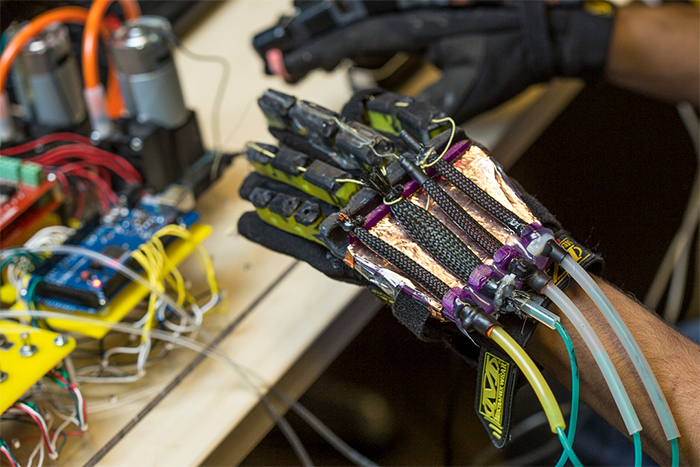 Unlike other VR devices, these gloves are equipped with soft robotic muscles or Pneumatic artificial muscles (i.e. individual fibers woven into latex enclosures). The muscles function by inflating and deflating when a force is applied, and this method provides realistic feeling of pushing down the virtual piano keys. Although the gloves are still in their prototype stage, they are shown to be very effective in delivering more immersive VR experience. 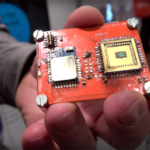 Wearable haptic devices like these have many promising areas of potential future application, from medicine to gaming. 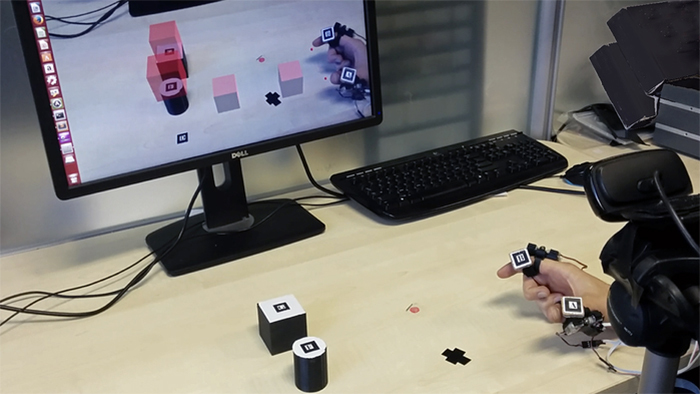 A finger-based haptic device, developed by a team of robotics engineers at the University of Siena’s Robotics and Systems Lab in Italy, takes the VR experience to the next level. This is another sensory device that provides realistic tactile feedback and allows users to feel virtual objects as if they were real. There are two main components of the device: one which fits over the tip of the finger, like a thimble, and the other which is worn like a ring. 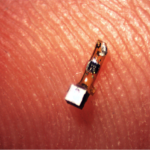 The thimble-like part contains a thin plate that are controlled by three miniaturized motors pressing against the finger pad. The ring-shaped part is also featured with tiny built-in motors, but this time the motors stretch the skin underneath the ring, instead of pressing the skin. 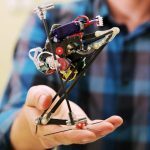 These two parts equipped with small, highly precise motion sensors, motors, and actuators produce a lifelike sense of touch in a virtual environment. Researchers claim that there are several possible applications for these types of devices. For instance, during surgery finger-based haptic devices can be used for performing “remote operations beyond the simple use of a scalpel, or train for tumor screening by feeling for virtual lumps in real tissue.” Researchers also explain that several improvements can be made, such as adding vibrations for texture simulation, to offer more realistic VR experience. The team is also developing an armband that features haptic rendering for lifting heavy virtual objects. 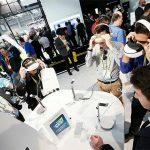 Build your own VR gadget! 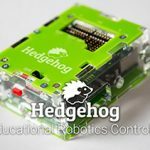 The tutorial walks you through how to build a wearable device that is able to measure the movement of the user’s hands and fingers for VR experiences. 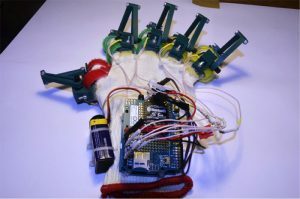 The 2nd part of the Arduino Bluetooth Gloves explores a mechanical system for transformation of the finger’s bending, as well as transmission of IMU data, wireless control using Kinect.